LUME Lab makes a space for artists to create new work: concerts showcasing brand new composition and improvised music are accompanied by the LUME Lab project blog, letting the audience in on the creative process. 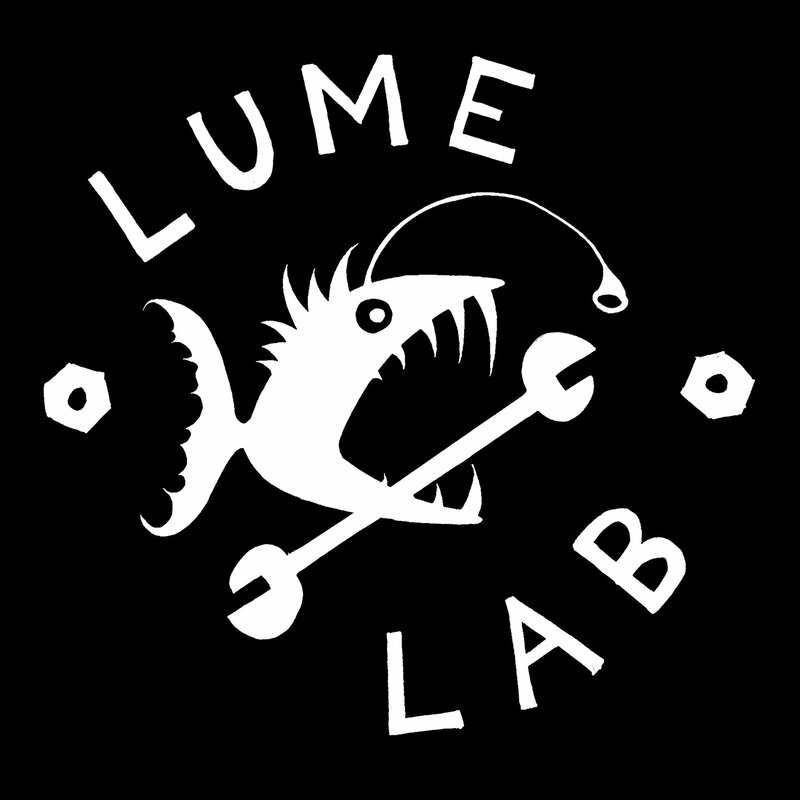 The first LUME Lab series in 2017 was supported by Arts Council England, allowing us to roll up our sleeves and get involved in creating new music with the community of musicians who have gathered around LUME over the past few years. A celebration of all things LUME, our festival first appeared as a one-dayer in 2016, followed by a weekender in 2017: on both occasions there was original and improvised music from the UK and beyond, friendly vibes and good times. The LUMEkestra is our shapeshifting behemoth of a large ensemble, established in order to create a place for people to try out composing for big groups of improvising musicians. Writing and performing music for larger forces is a logistical nightmare, so the LUMEkestra aims to ease this pressure slightly by holding semi-regular gatherings (in the form of rehearsal time plus a performance) where music can be tried out and experimental ideas aired. 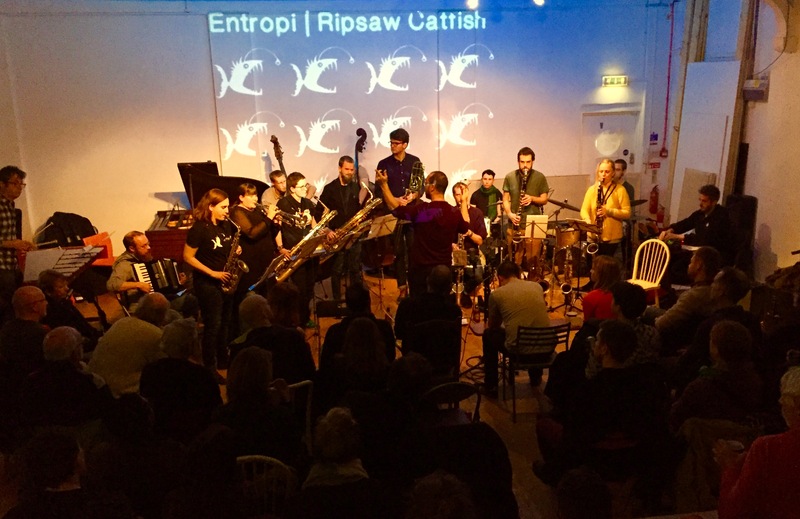 The lineup at its inaugural performance in November 2016 (as part of our London Jazz Festival triple bill at IKLECTIK) comprised a glorious and unwieldy 18 musicians who pitched up to play a sprawling and at times raucous set of new compositions. 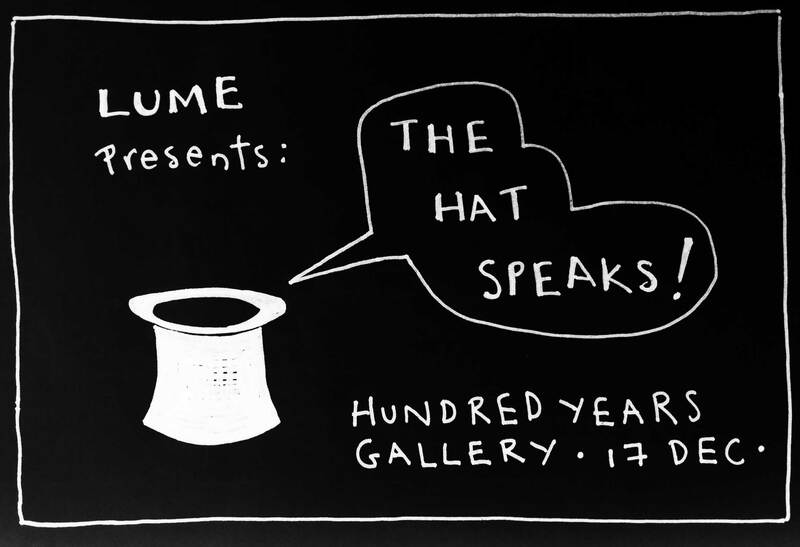 Inspired by the mighty Noise Upstairs night in Manchester, which has now been running for a decade, The Hat Speaks is a names-out-of-the-hat improvised music session, with the size of the ensemble determined by the throw of a dice. We held the first one at Hundred Years Gallery for LUME is 2 in Summer 2015, with a second round in December the same year. As part of Cath’s artist residency at Lancaster Jazz Festival 2016, a late night Hat Speaks session took place at the Golden Lion pub. 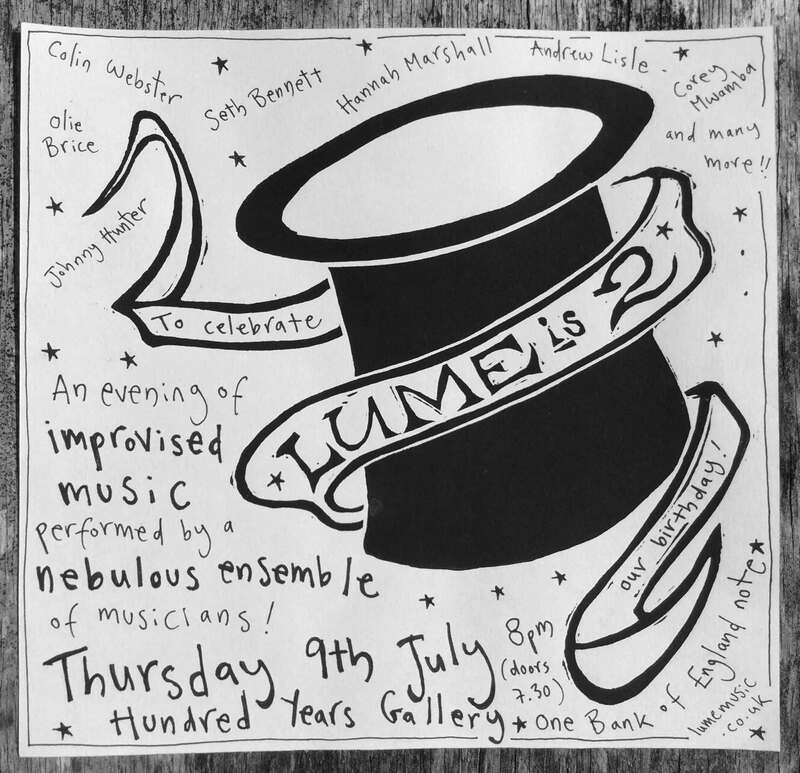 The hat was in residence at the second LUME Festival in 2017, where it kicked each day’s programme off with random sets by groupings of festival artists. From time to time we also work on stand-alone projects. These have included LUME On Tour in 2015 (supported be Arts Council England), and the LUME Barbican Freestage at London Jazz Festival 2015. We have run regular gigs at The Vortex, Long White Cloud, Hundred Crows Rising (briefly) as well as producing other one-off shows in unusual venues around London. You can read about the history of LUME gigs on our ‘About us’ page, plus check out the gig archive list at the bottom of our listings page to see who we’ve hosted since we started this whole thing in 2013.